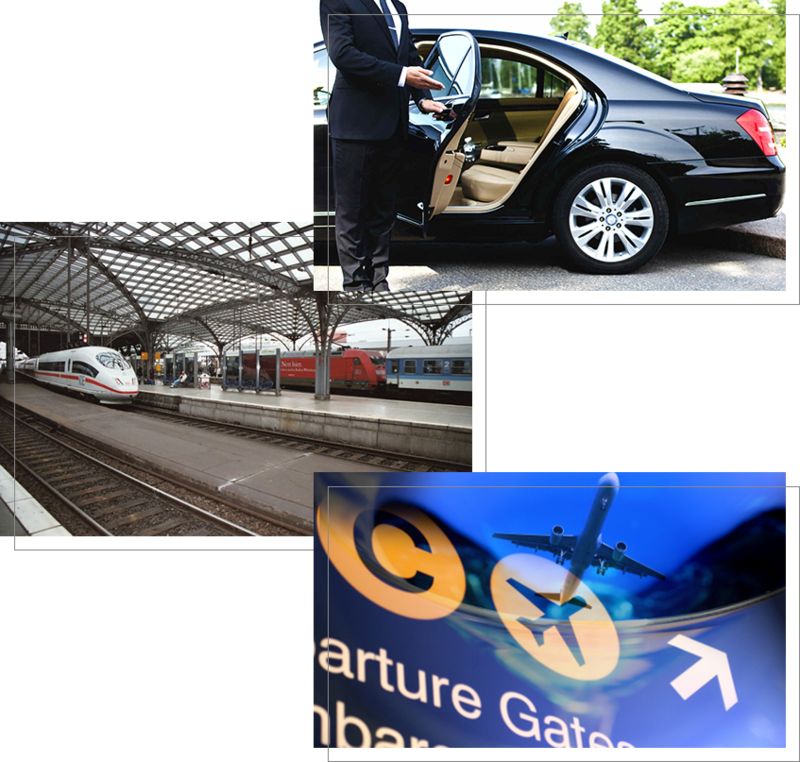 Book your airport transfer service with a chauffeured driven car at incomparably fair prices. The perfect business trip starts in the arrival hall This isn’t any ordinary airport transfer service; it goes far beyond the simple ‘meet and greet’ that you might expect. It’s how we do things at HMTS – based on nearly 30 years’ experience. If you’ve just stepped off a plane, tired and aching from a long flight, there can be no better antidote to your ailments than a HMTS airport transfer. For those who don’t look forward to deciphering foreign public transport maps or haggling with local taxi companies, HMTS offers a service that will take you to your destination directly from the airport. Our professional drivers can track your flight and adjust for any delays outside of your control. They’re also hand-picked and locally knowledgeable, so feel free to ask them for tips or advice on what to do during your stay. A HMTS chauffeur service aims to achieve the very highest possible standards possible for all its passengers. Whether you’re stepping out in LAX, Las Vegas, Barcelona Airport, Milan, Paris, Monaco, Amsterdam, Rotterdam or Paris CDG on business or you need to be dropped off at Bangkok International Airport, Moscow Airport, Hong Kong Airport, Johannesburg Airport after a holiday, HMTS will get you there relaxed, recharged and ready with an airport transfer service. Traveling with family or colleagues? A HMTS Business Van can transport groups of up to five people together, with plenty of room for luggage. For those after that little bit extra, consider our First Class service for the epitome of style and comfort - perfect for special occasions. Our luxury airport transportation service is the perfect way to get the most from a business trip. No delays waiting for a taxi. No fumbling for space to work, or explaining directions in a foreign language. Instead, your passenger will arrive at their hotel or meeting ready to do business – relaxed and well-prepared..
At HMTS, we can arrange an executive car to pick up at any airport worldwide, from private or chartered flights. Forget about language barriers, currencies and time zones – simply tell us what you need, then let us look after everything till the smallest detail. Enjoy our exclusive Chauffeur-drive service in over 120* cities worldwide. Whether you need an airport transfer or transport for a Roadshow, Meeting or Event we have a fleet of high specification vehicles ready and waiting. Your chauffeur will be where you want them, when you want them - courteous, calm, attentive and an expert behind the wheel. We are worldwide, as well as world class. Whichever part of the world you’re in, we are too.